It’s no shock that college is crazy expensive. I think about our young children, and I shudder at the idea of what college will be like when it comes time. Regardless of whether you have years before college, or you just stepped foot on campus understanding student loans is a vital part to mitigating the cost. Thinking back to my days taking out student loans, I knew very little about what I was getting myself into. Part of that was my lack of due diligence, and the other was a simple lack of education on how student loans work. When used wisely, student loans can be a good way to help you get the degree you want. However, when not used wisely, student loans can be a great way to saddle yourself with debt. If you need help understanding student loans and ways to successfully evade a lot of debt, here are some things to keep in mind. Subsidized loans – This is a federal loan, and you must show financial need for these loans. As such, these are more limited, and the government pays the interest while you are enrolled – at least on a part-time status. Additionally, the government pays the interest while you’re on deferment or forbearance, such as the first six months after you graduate. Unsubsidized loans – These are also federal loans, but you do not have to show financial need to get them. The real difference is that interest begins to accrue the moment you receive the funds – so, yes, while you’re in school and immediately after you graduate. In short, you have to pay everything back starting with the moment you receive the funds. You can also take out more loan money than you can with subsidized loans. The fact that interest begins accruing the moment you receive funds should not be overlooked in the case of unsubsidized loans. For example, I was unable to communicate need when I was in college, so all my loans just sat there earning interest. If you don’t receive subsidized loans, appeal the ruling to your financial aid department. You may not win, but every little bit helps. Regardless, if at all possible, don’t take out unsubsidized loans just to have the money to live on – the fun money isn’t worth it in the long run. Soon after you choose which college to attend you’ll receive an award letter. This award letter lists everything you have been approved to receive to help you pay for college. The term award can be very misleading here. Yes, it does list any scholarships or grants you may receive – that’s free money. It also lists any loans you may receive and whether or not they’re subsidized or unsubsidized. Don’t mistake the student loans as the same free money as grants or scholarships. Student loans must be paid back so don’t make the mistake of thinking “award” means everything is free money. One bonus not to overlook, if you find that you don’t need all the student loan money you received, you can return it to the school up to 120 days after you receive the funds. I used this little trick to save myself several thousand dollars of student loan money when I was in college. If you have any general education classes, you need to get out of the way, going to a community college is a great way to save money. You can accomplish this in a few ways. I went to the local community college when I went back home for the summer. If that’s not an option, you can find one local to where you’re going to college. Just make sure your college will accept the transferred class before choosing this option. If it works, and you’re able to pay out of pocket, it can be a great way to save money in college and cut down on your student loan balance. Many don’t know this, and it can be difficult to do, but it’s possible to start paying on your student loans while you’re in college. This does require some sacrifice, but it may be worth it in the event you have unsubsidized loans that are sitting there accruing interest. I would typically only recommend this tactic if you’re working while in college. Even then, it can still be difficult. If you don’t need all your wages to live on, you may want to look at the benefits of using some of your earnings to pay towards your student loans. Assuming you do need the funds to live on you can also take earnings from a summer job to help pay down your student loan balance – especially if you have unsubsidized loans. A major part to understanding student loans is knowing what payment options you have. For example, what do you need to do to start paying on your loans early? There’s much to consider beyond that issue. You first want to know which type of loan you have – subsidized or unsubsidized. You also want to know who is servicing the loan, which is often different than who gave you the money. I always found it helpful to keep all the paperwork I received with loans so I could go back if I had any questions over how a particular loan worked. The key here is to understand rates, payment terms and everything tied to paying back the loan. If you are taking out private student loans, you need to keep in mind that they often work differently than federal loans. They will likely have different rates, payment terms and amount of time they allow for repayment. You will also want to find out if there are jobs in your field that allow for student loan forgiveness. This varies between fields but can be worth looking into while in college to get an idea of what may be available. Once you do graduate, assess where you stand with the loans and make a plan to attack the debt. You can check out rates at SoFi for possible consolidation to lower your payments and become debt free quicker. If it’s not clear yet, student loans are not free money. Scholarships and grants are great because you don’t need to pay them back. That’s definitely not the case with student loans. College is a big business, and you can get money from many sources to make your college experience possible, but it’s not free money. I learned this firsthand while in college. I took out extra loans, not thinking through the repercussions of paying them back. I used that money to finance the kind of life I wanted, but could not afford; it still stands as one of the worst money mistakes I’ve made. Instead of looking for the reasons why you need to take out extra student loan money, think of why you don’t. 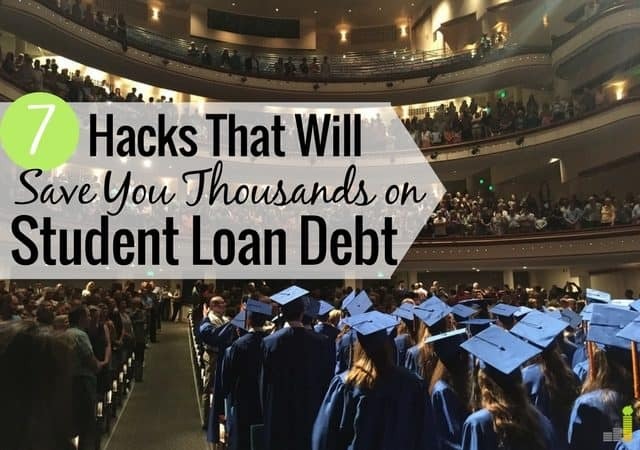 Whether that be a part-time job on campus or cutting down on lifestyle expenses, those can help you from a massive student loan bill in the very near future. You may think it’s too early to start making a plan to repay your student loans. I get that. It’s hard to think a few years in the future and know what your life will be like. That being said, making a simple plan now is the key to success in paying off your student loans. 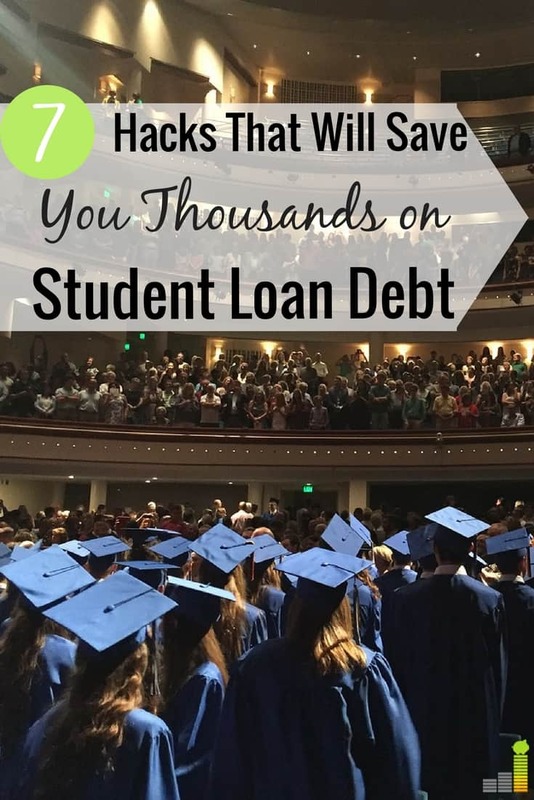 This plan can be as simple as tracking your student loan balance from semester to semester. You can pair that with a simple budget once you graduate so you can hit the ground running with paying off your student loans. I mentioned keeping track of all your paperwork, servicers and the like earlier. This is where that information can prove helpful as it will help you see exactly where you stand. Just remember to make your plan flexible to your needs and situation. If you use it wisely, it will help you pay off the loans sooner allowing you to move on with life and reach other goals. What are some other key things that are important to understanding student loans? Did you start repaying your loans while in college? What was the most effective thing you did to help kill your loans?